6 years ago I delivered a friends baby girl. For Sarah's birthday party her mum asked if I could do something with the children that she could then put some sweets in. 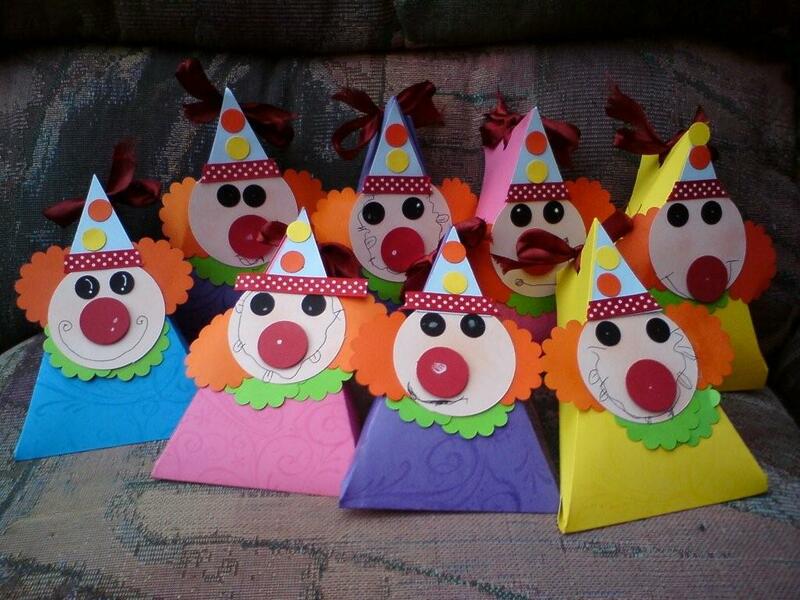 So this is what we made fun clown boxes. Here are the boxes they all made. This is such a clever idea. Great for kids parties. 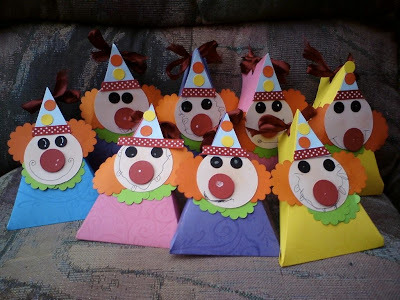 I love the clowns, what a neat idea for a kids party. I might have to make something like that for my little girl, she would love it. Awesome. Didn't they all do well. They look fantastic.